Front (L-R) Don Gibney (third seat), Maura Cahalan (chair), Martin Walsh (vice chair), Eamonn Donnelly (national secretary). 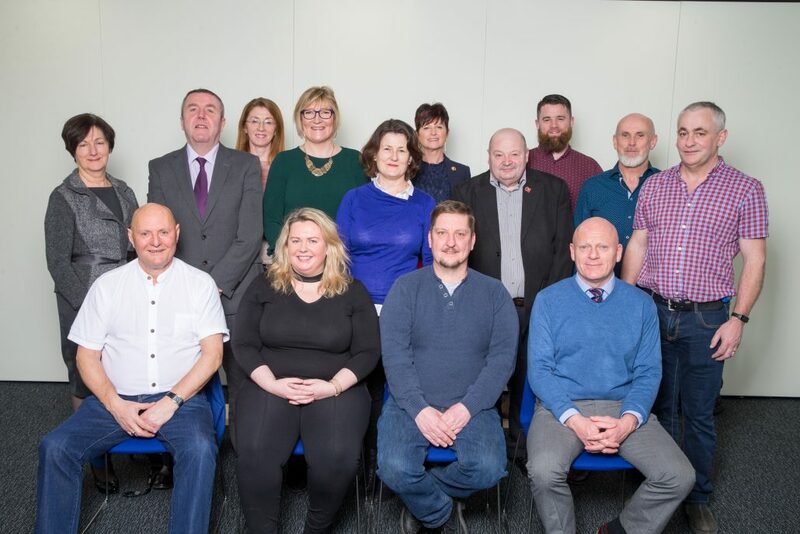 Back (L-R) Brenda Mulhall, Brian Gorman, Patricia Mellsop, Corinne Phelan, Carmel Devine, Michelle Spearman Geraghty, Tony Mitchell, Edward Harte, James Fletcher, Jarlath O’Connor. Those not present were: Stephen Broderick, Raymond Daly, Finán Gallagher, Daniel Sweeney.